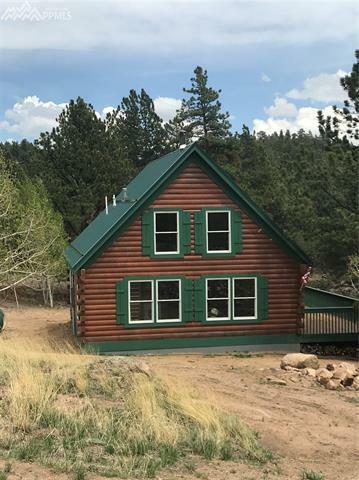 This adorable, three bedroom, one bath, newly built log cabin was done with quality in mind! The eat in kitchen offers granite countertops, custom wood cabnitry and stainless steel appliances. Enjoy relaxing in the open living area with a beautiful wood burning stove on a stone hearth. Two bedrooms and full bath on main level and a large loft area (3rd bedrrom) with french doors and already plumbed for additional half bath!